Welcome to the first episode of an ongoing series that I am hoping to get running, talking about all things Super Smash Bros., leading up to the game’s eventual release (TBD). My goal is to do at least 8 of these by the time the game launches, or by year’s end assuming the game is still on schedule to release 2018. Today, I’ll be discussing some possible new fighters based on my personal wishlist and suggestions to help either new or represented franchises flesh out the character roster. For this list, I’m limiting this to Nintendo based characters or characters that have some history with the company. Now, I know most people are probably sick and tired of sword characters (thanks Fire Emblem! ), but hear me out. Smash has had medieval fantasy swordsmen (Link, Marth, Lucina, Roy, Corrin, Ike, Robin, sci-fi sword wielders (Shulk), Ninjas (no swords though), and a Meta Knight; you can even make the case for a Greek short sword fighter (Pit, Dark Pit). But five games in (yes, I’m counting the 3DS and Wii U games as two entries for convenience) and we have never had a samurai. We are in the midst of a samurai resurgence in games thanks to titles like Nioh, Ghost of Tsushima, and even Nintendo’s own Fire Emblem Fates, so I think now is the perfect time to introduce Takamaru. But the most compelling reason for adding him might be that he was on the consideration list at one point in time; twice. Once during the development of Melee, and again with 3DS/Wii U. Though Sakurai has expressed concerns in the past that most gamers would not recognize him (the original game was never released outside Japan until it was made available in the 3DS eshop), I think his fears are misplaced. 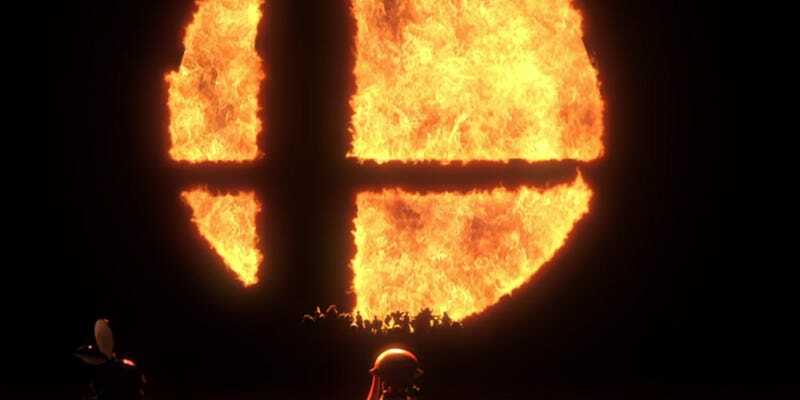 Smash has already had multiple fighters already from unknown or retro titles that later went on to spark enough interest in new games (Fire Emblem and Kid Icarus). And hey, you’ve already thought about this twice now? Third times the charm? For the longest time I believed Mach Rider would be in Melee as a clone for Captain Falcon (the Mach Rider theme is used as an alt song in Big Blue). That role ended up being filled by.... Ganondorf, from a series which has nothing to do with driving (not counting Mario Kart 8!). It has always bothered me that this model exists and yet we never got anything out of it save a trophy. Smash might also be quickly running out of retro characters to pull from, outside of pulling from more unknown or obscure titles. With Duck Hunt being the most recent, it seems like we’ve reached the pinnacle of retro representation that is going to be a tough beat to follow (I’m willing to bet more than a few folks who grew up with a NES likely had Duck Hunt). Vehicles are no stranger to Smash with Wario utilizing his motorcycle for his side special and Bowser Jr. fighting exclusively on his Koopa Clown Car. I still picture more of a C. Falcon moveset but armed with a pistol. Sakurai could go one step further and completely reimagine Mach Rider in a similar vein to Pit to expand his moveset further. As luck would have it, Brawl introduced a third Star Fox character to the roster. On paper, Wolf O’Donnell sounded like a cool character to add with the lack of villains or anti-heroes on the roster. They had a golden opportunity to give us a new character that wasn’t another Fox clone.... and then completely went ahead and did the opposite. Adding insult to injury, they reused the same goddamn Tank for his Final Smash. Star Wolf doesn’t use Landmasters! And don’t quote that Brawl trophy that they stole the tech for this game! Back to Krystal. She brings one possibility that Smash has never had before: a spear/staff weapon. In addition to her telephathic abilities (probably an excuse for a counter move instead of a reflector), her electric staff would give her much varied moveset compared to her other Star Fox peers. Plus, another female character is always a plus to give the roster more variety. Whatever the case with the new Smash, please don’t use the Landmaster Final Smash for all of the Star Fox characters! We’re getting at least one ARMS character in Smash. Period. Hell, it’s probably Spring Man and Ribbon Girl pictured on the left of the picture above (they are on the game cover after all). Here is a suggestion: why stop there? ARMS is a fighting game full of possible fighters to join Smash. I don’t think they can go wrong here with whoever, but here are my personal picks in no order: Ninjara, Master Mummy, Min Min, and Twintelle. Dr. Coyle might be the more safe pick to balance out the roster by including a villain, but Smash isn’t exactly known for playing it safe with its roster (Mr. Game & Watch!). At any rate, just choose! Kid Icarus Uprising was a fresh start for the 25 year old series that had layed dormant since the original NES game and lesser known sequel on the Game Boy. Though Medusa is the main villain in the original game, Uprising introduces another in Hades. Unless you like bullet hell games, Hades moveset would likely need to be trimmed down from his original game. I’m thinking he would be a Ganondorf build (possibly heavier), but more of a magic user (Robin/Zelda). A Tank Mage that shoots laser beams essentially. Hard to knock off stage like Little Mac, but horrible recovery to compensate. More than anything, his sense of humor would be a welcome addition to Smash, if nothing else than to hear him mock the rest of the Smash roster, or use him in the Subspace Emissary if that makes a return. This was actually going to be longer, but I underestimated how long this would take. Didn’t even get to my Fire Emblem pick! To be continued! Sure, I could have gone with a more traditional Fire Emblem character, but here is my wild card entry, along with why I think Anna would be a worthy contender to fill the inevitable Fire Emblem slot in Smash. The first reason has mostly due to history. Being one of the few reoccurring characters in the series, Anna in someway has become an unofficial mascot for the series (though Feh the owl might be gunning for that spot). Fire Emblem Heroes takes it one step further: she is one of the main characters and the commander of sibling protagonists Alfonse and Sharena (she is also responsible for summoning the Summoner/player avatar). Having a connection to almost every game in the series, Anna already has a leg up as far as representation goes. The second reason has more to do with moveset. Like Robin in Awakening, Anna has multiple possible classes which opens up a wide range of possibilities for moves better than the traditional lord or even Magic wielding character. To narrow this down further, let’s focus on her three most recent playable appearances, excluding Warriors (which opens another wild possibility): Trickster (Awakening), Outlaw (Fates), and technically Fighter, but Heroes does not clarify. In those three classes, you have thief/sword wielder (or Levin Sword if you took advantage of her high magic), Archer, and Axe fighter. If they really wanted to, they could just roll all of this into one character and make her a jack of all trades ala Link, but my money is Commander Anna from Heroes most likely making the roster given her newfound role. Well, there you have it, six possible characters for Smash. Who do you most want to see in Smash? If you are reading this on the morning of the 12th, not much longer now till we see our first real look at the game in action.